Three years from now, India will be capable of taking humans into space. SRIHARIKOTA: Three years from now, India will be capable of taking humans into space. Works have already commenced at Sriharikota from where the human spacecraft will take-off. 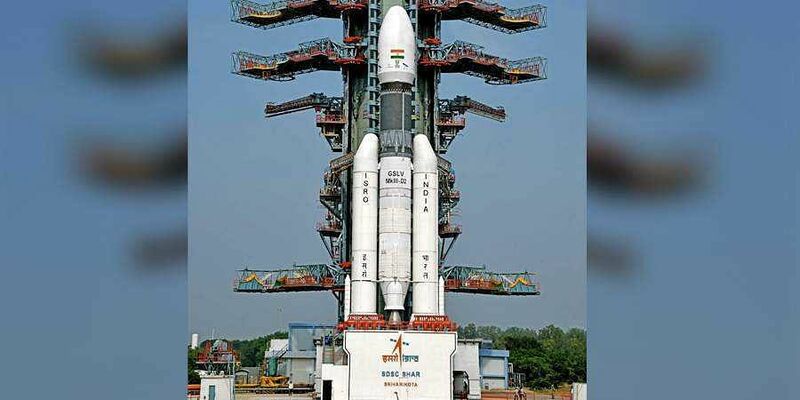 K Sivan, Chairman, Indian Space Research Organisation (ISRO), said launch pad works are being carried out parallel at Sriharikota alongside consultations with international space agencies and other governmental departments on selection of crew members. “We are currently at the discussion stage. Meanwhile, suitable modifications have to be carried out to the launcher GSLV MkIII vehicle to make it human rated,” he said replying to a question at the post-launch press conference on Wednesday. He said at least two unmanned flights using human rated vehicle will be carried out before Gaganyaan mission to assess various parameters. The first unmanned flight will take-off around December 2020. Initially, the plan was the construct a new launch pad for the human space flight, but Sivan told the Express that due to paucity of time one of the two existing launch pads is being modified to meet the requirement. Under Gaganyaan, ISRO will send a three-person crew to space for a period of 5-7 days to carry some of the scientific tests like micro gravity experiments. The spacecraft will be placed in a low earth orbit of 300-400 km. The crew module along with the service module, together called the orbital module, weighing around seven tonnes will be mounted atop GSLV MkIII launch vehicle. The crew will reach low earth orbit in 16 minutes once launched. In the return phase at 120 km above earth, the crew module will separate from the service module and head towards the earth in a controlled manner. The human space programme got a fillip after Prime Minister Narendra Modi at his Independence Day address this year announced that an Indian will go to space by 2022. P Kunhikrishnan, Director, UR Rao Satellite Centre, said Chandrayaan-2 mission was on schedule for January launch. According to the ISRO, Chandrayaan-2 is a “totally indigenous mission comprising an orbiter, lander and rover”. The spacecraft, weighing around 3,290 kg would orbit around the moon and perform objectives of remote sensing the moon.Kunhikrishnan said orbiter is on an advanced stage of development, while design of lander has been standardised, which is much robust and has undergone all stipulated modifications.